The Vineyard will be featured in a conference titled Stories of the Whale: From New England to the Alaskan Arctic. Vineyarders were among the first whalemen to venture into the Alaskan Arctic, and among the last. 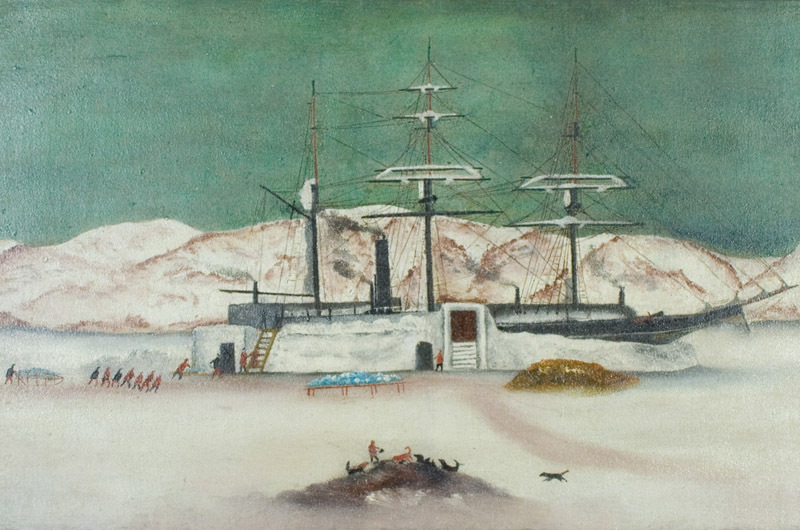 Beginning in the 1840s, when the first Island ships crossed the Bering Strait, the unforgiving Arctic winters — along with the later advent of petroleum and steel manufacturing — ushered in the end of the whaling era in New England. But the names live on, both on the Island and afar. For the first time next week, Alaskans and New Englanders alike will gather for a three-day conference centered around whaling in the Arctic, with events in New Bedford and Nantucket, as well as on the Vineyard. Stories of the Whale: From New England to the Alaskan Arctic will cover a wide range of topics, from history and heritage to current research surrounding whales. Historian David Nordlander has spent the last two years organizing the conference, working with the International Fund for Animal Welfare, the Nantucket Historical Association, the University of Alaska, the Alaska Fisheries Center and other groups. The conference kicks off Monday with speakers and discussion at the Nantucket Whaling Museum, then heads to the Vineyard on Tuesday for a private tour of historic sites and a gathering with members of the Wampanoag Tribe in Aquinnah. It wraps up Wednesday with a series of roundtable discussions and scientific presentations at the New Bedford Whaling Museum. Only the Nantucket and New Bedford portions are open to the public. 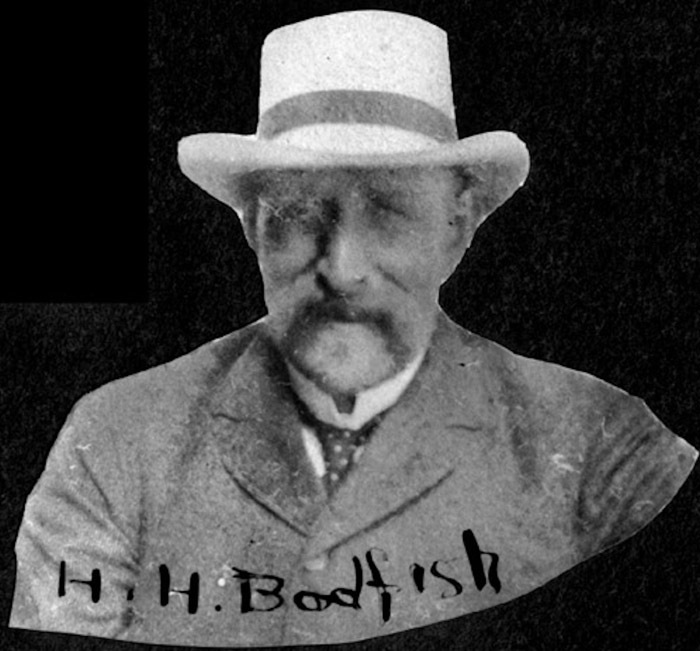 Hartson Bodfish of Tisbury, for example, was among the first whalers to overwinter in the Arctic, leading the way for many others. And like others, he also left behind a family. An article in the Dukes County Intelligencer in 1971 lists 47 Vineyarders who whaled in the Arctic between 1848 and 1914. Many of their names are still common in New England today: Bodfish, Coffin, Cottle, Fisher, Jernegan, Pease, Tilton. Some of the names are also common in Alaska. State Rep. Ben Nageak, a member of the Inupiat people, will take part in the conference, and hopes to learn more about his New England heritage. The ships themselves often met their end during the long winters, stranded in the ice or shattered under the force of freezing and thawing. More than a few whalemen endured marches back to civilization over ice and snow. Joseph Belain, a member of the Wampanoag Tribe of Gay Head, was known for rescuing the survivors of one crew during the brutal winter of 1897, building lightweight canvass boats and taking charge for Captain Whiteside of New Bedford, who had fallen ill. But the Arctic ventures were the beginning of the end for New England, with a series of disasters gradually crippling the fleet. Perhaps most notable was in the Whaling Disaster of 1871, when 40 ships were stranded between Point Belcher and Icy Cape with 1,219 men, women and children aboard. The ship masters crowded into whaleboats and made the 70-mile voyage to the vessels at the edge of the ice field. The passengers were soon rescued, although only one ship ever returned home. Of the 32 ships that were lost outright, 14 hailed from the Vineyard. Members of the Wampanoag Tribe are looking forward to sharing stories about their families and culture. Nearly everyone in Aquinnah has ties to the whaling industry. “I can’t think of any family that doesn’t,” said Aquinnah tribal elder Bettina Washington, whose great-grandfather John Belain along with his father, George, were both Vineyard whalers. 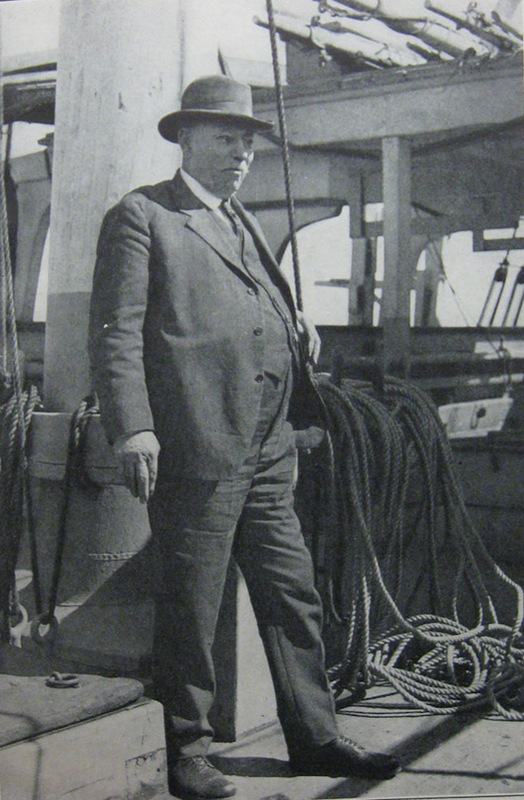 The conference may eventually lead to some online educational materials, he added, although the immediate goal is simply to commemorate whaling history and heritage and highlight some of the present day issues, including ship strikes and entanglement, which threaten whales in both New England and the Arctic. 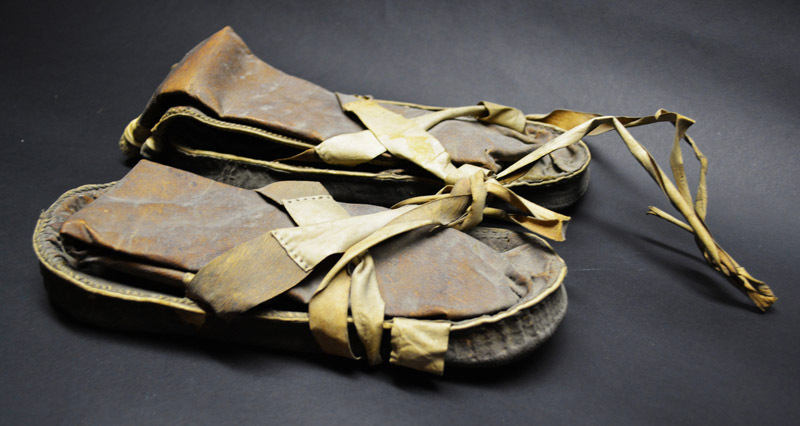 The walking tour on Tuesday will include a temporary exhibit at the Martha’s Vineyard Museum featuring objects and documents related to the topic. Mr. Nordlander has been working with the museum to digitize its collection of whaling journals, which would be made available on the Digital Commonwealth website. He noted that the journal of Captain Jared Jernegan’s young daughter Laura in the 1860s has been a popular subject in Alaskan schools. Mrs. Washington, for one, saw the conference as another opportunity for the tribe to expand its horizons. She noted a visit in June from the Hawaiian voyaging canoe Hokulea, a festival in August that celebrated the connections between the Vineyard and its sister islands, Saint Vincent and the Grenadines, and recent visits from Wampanoag members abroad who have roots in the whaling era. Great article think a few other family names can be added ,Cleveland ,Daggett,and Smith as Whaling Capt.s who endured that ruff Whaling trip. Great article! The eastern, Canadian arctic (Hudson Bay and Strait) also drew lots of Vineyard whalers, including many Wampanoag men. Quite a few wintered there, and many conceived second, Inuit families. (It's been estimated that 3-4% of the modern population of Nunavut descends from just one 20th century Vineyarder, George Cleveland of Vineyard Haven, for example.) We've begun a DNA project - Arvagasugiaqpalauqtut Kinguvaanginnik Qaujinasungniq (The Whalers DNA Project) - to find the connections between Vineyard families and Inuit families in Nunavut. If you are descended from, or closely related to, a whaler who wintered in the Arctic, we encourage you to get your DNA tested at Ancestry.com or 23andMe.com. George Cleveland is my great grandfather, my mother Rita Cleveland is the youngest daughter of his son florist Lewellyn Cleveland and Lydia West. She was born in 1932 so only had heard stories about George. Hello cousin, I am a descendant of another George Cleveland, George Daggett Cleveland who moved to New Bedford in the 1860s. There are a whole group of us on the South Coast. Mistaken Identity: Whaling Master Captain George Fred Tilton, NOT his brother Zeb, is pictured in this article. Thank you for pointing out our error. The caption has been corrected. I was wondering if you would know a surname Aiken from one if the whaling ships, I was told he was a crew member from one of the ships, had a son with my great grandmother in 1897.